Learn about the dramatic changes in glass processes and technologies that have occurred over the last 100 years. 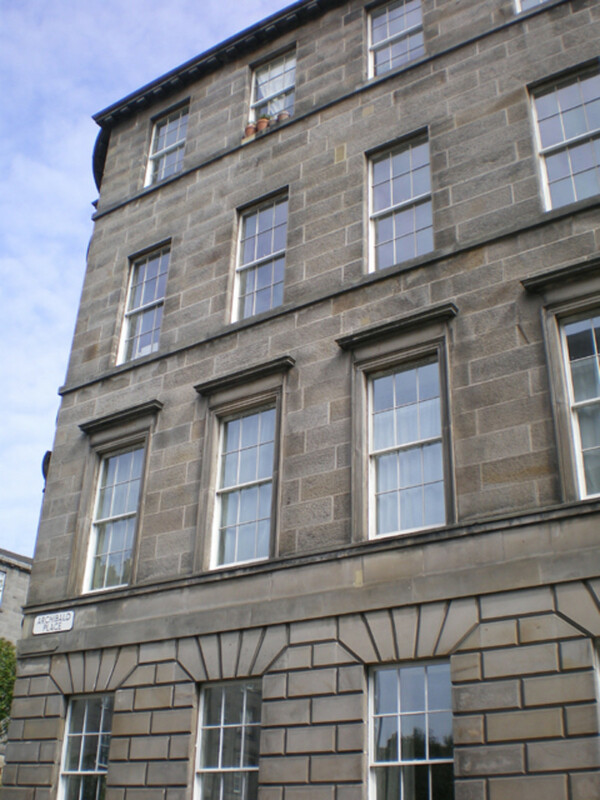 Archibald, Scotland: Installed in a listed 18th-century stone building in Edinburgh, Spacia VIG windows "read" as historic, but offer twice the thermal efficiency as single glazing. Glass and windows are often said to be the eyes of a building. For these key architectural components, both the aesthetics and energy efficiency are significant considerations. Glass processes and technologies have changed dramatically in the last hundred years creating a wide range of possibilities never before considered. 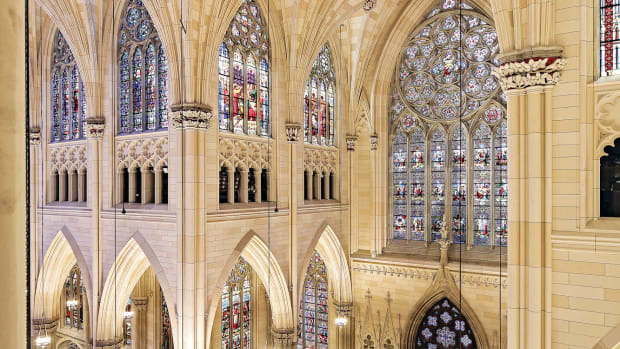 New glass, coating, and glazing technologies create potential solutions for historic restoration that improve window performance and open up window restoration possibilities that have not been options in the past. Historically, glass was made using very labor-intensive methods. 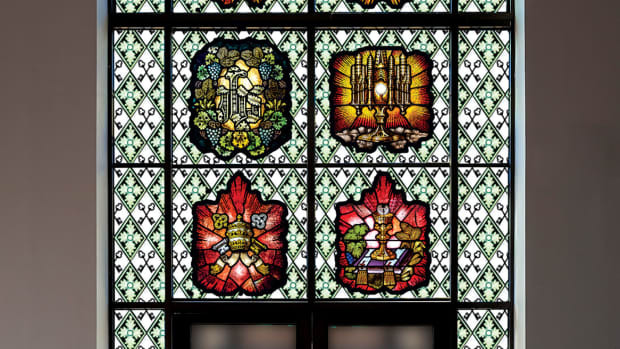 Up until the mid-1800s, windows were made using either glass from the crown glass or cylinder glass process. As time and technology evolved, new processes such as plate glass, rolled glass, and sheet glass were developed. With each of development, there were improvements to quality, output, or cost. In the 1950s, Sir Alastair Pilkington invented the float process which made it possible to create high-quality glass at a higher output than ever before utilizing minimal labor and cost. 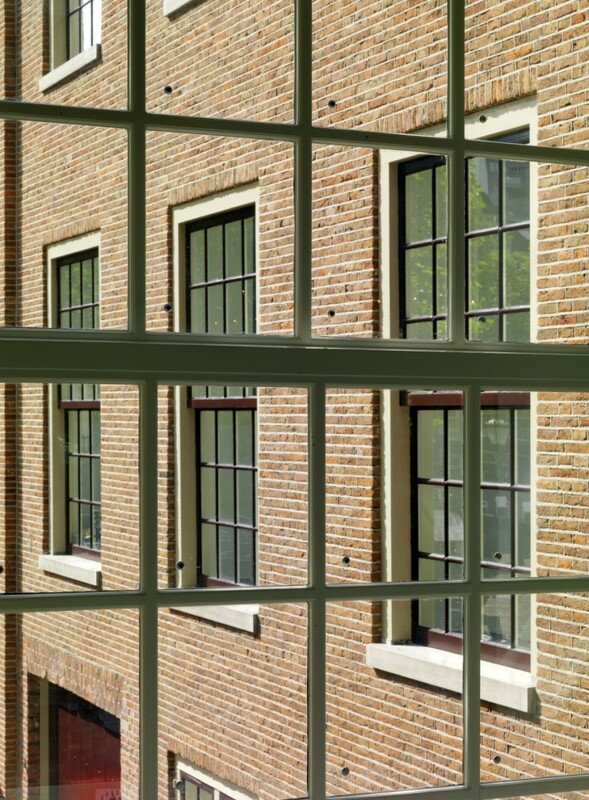 Spacia windows are so thin they can be configured to fit into original window frames, like these nine-over-12 sash at the 17th-century Hermitage Amsterdam museum. Today the float process is how most window glass is produced. Additionally, environmental concerns related to building energy consumption have led to legislative policies and energy codes related to windows and the regulation of energy usage. As a result, almost all windows today are required to be built with at least two pieces of float glass, a spacer between the glass, and at least one high-performance low-e coating. This construction, known as an insulated glass unit (IGU), offers improved insulation values and reduced solar heat transmission through the window. With the challenging technical requirements involved with IGU construction, window production has moved to a larger scale factor product. As such, most modern windows today look very little like the historic, monolithic single pane windows of the past. The nature of IGU construction means that the newer windows are required to be much thicker due to the two pieces of glass and the air space between. “For air to be a good insulator, there needs to be a fairly wide pocket between the panes of glass,” says Kyle Sword, Manager of Business Development for Pilkington North America. “In commercial glazing, most units are built with a ¾” to 1” space” he says. In Pilkington Spacia windows, the air between the two panes of glass is extracted, creating a vacuum. 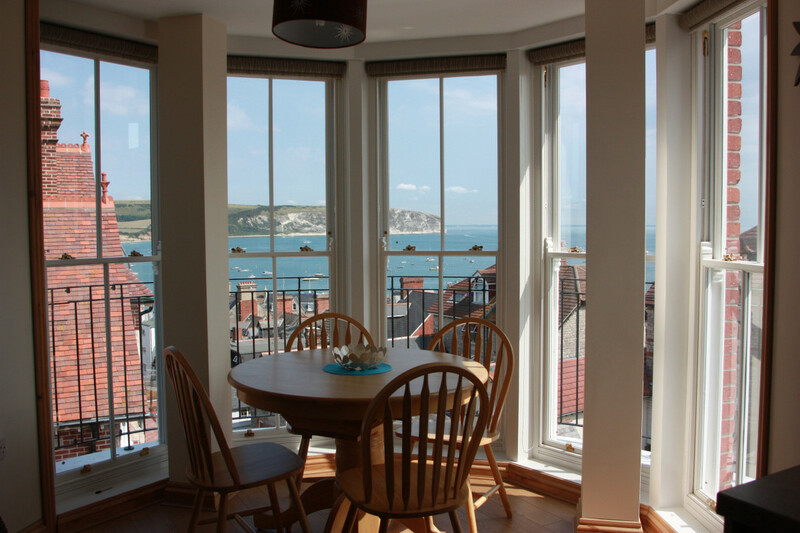 The windows offer the same thermal performance as conventional double glazing in one quarter of the thickness and at two thirds the weight. Sandwiching together two layers of glass raises the R-value, a measure of insulation, from R1 to R2, he says. Adding coatings that inhibit solar heat transfer and injecting higher performance gas in the cavity like argon or krypton can also improve the energy efficiency of IGUs. 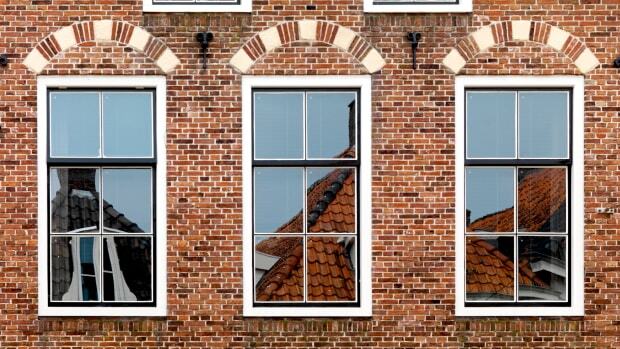 Most new windows use a combination of these to achieve the industry-standard of R4 or R5. However, these new higher performance windows come with trade-offs in thicker window units, color or aesthetic impacts, and potential breakdown or failure of the seal mechanism over time. There is another downside of the new window design as well, especially for buildings originally built with single-glazed windows. Insulated dual-pane units most times won’t fit into the original sashes, making full window replacement necessary. 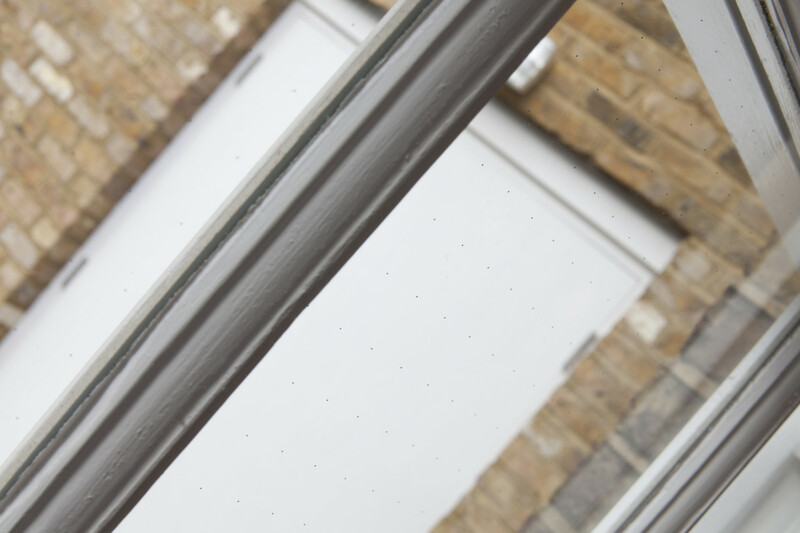 Pilkington Spacia vacuum glazing consists of an outer pane of low-emissivity glass and an inner pane of clear float glass, separated by a micro spacer grid of small pillars, each measuring just 0.5 mm diameter. This grid ensures that the two glass panes are kept a fixed distance apart. 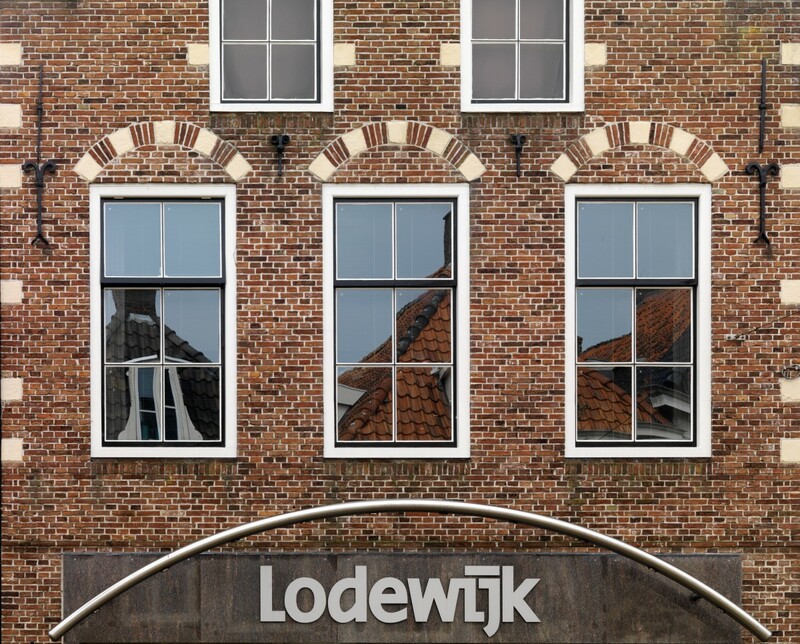 The window industry has gone to great lengths to work with these thicker units and find solutions that still appear to look like the original monolithic windows. Inventions such as internal mullion bars and simulated divided light windows help the windows “read” like traditional single glazing. There are many great replacement and replica products out there, but unsatisfying aesthetic differences often remain. What’s more, the seals on double glazed windows deteriorate in as little as two to three decades. Since windows can’t be resealed, they must be completely replaced—a form of guaranteed obsolescence. Enter double-glazed vacuum-insulated glass, or VIG. The first patents on this technology were in 1913, but the process to create and seal a VIG window is so finicky that the first successful commercial project didn’t occur until 1997, at the University of Sydney in Australia, in partnership with Pilkington’s parent company, Nippon Sheet Glass (NSG). There&apos;s nothing to obstruct the view with these hermetically sealed, thin profile windows. 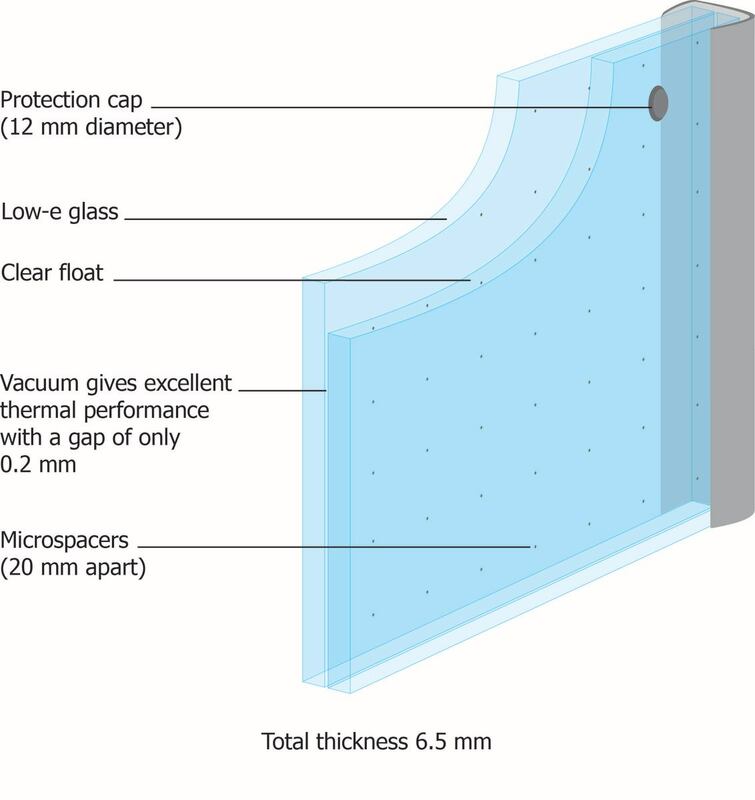 The result is excellent thermal performance from a unit that is only slightly thicker than single glass. Because a vacuum is a superior insulator—there are no air or gas molecules to conduct heat transfer—the gap between the two panes is a minuscule 0.2 mm (1/128”). Using two panes of 1/8” thick glass, that means the overall VIG unit can be as thin as 6.2 mm—or about ¼”. That’s thin enough to slip into an existing single-glazed window grid. This opens up a new range of solutions that can allow the original windows to be restored while still enabling the energy gains often targeted in a project. If that weren’t momentous enough, the science indicates that the seals on VIG windows could make window obsolescence a thing of the past. There is very low risk of water infiltration or air leakage with VIG, because the units are hermetically sealed with inorganic materials in the form of glass frit. Once installed, there are few mechanisms that could lead to seal failure. Additionally, VIG units can be thinner and lighter than standard double glazed units and offer improved acoustic performance over single glazing. The spacer bars between the two panes of glass are only visible at extreme close up. Because of the custom nature of the material and edge seal, the VIG product is made to custom sizes for each project. Most of the initial sales have been for retrofits, many on historic buildings. The smallest order so far was for seven double-hung window panes for a historic Brooklyn rowhouse. The MIT project has been the largest, with >10,000 windows. “Pilkington Spacia™ is a really great alternative for restorations, as well for those targeting very high energy efficiency such as Passive House,” Sword says. “Anything where people are trying to achieve net-zero requires very high insulation values and the VIG technology is a leap in enabling these types of performance”.